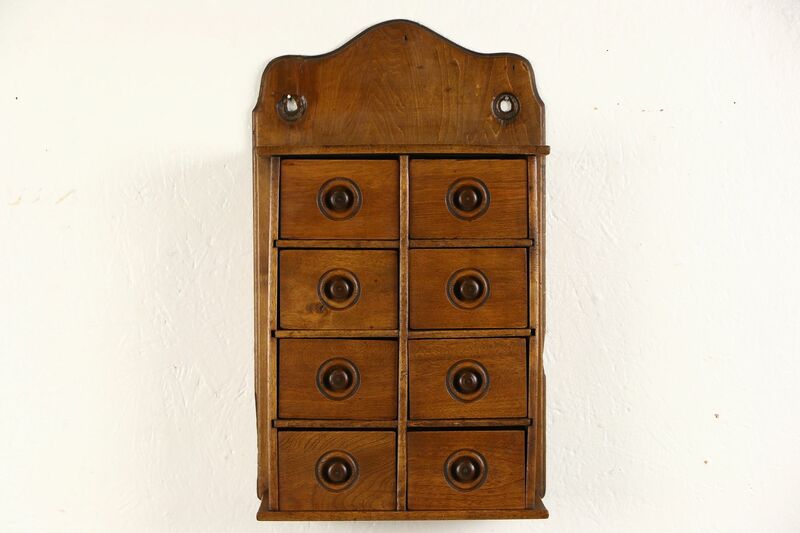 A pantry spice box with 8 drawers was hand made of solid birch hardwood in the 1890's. The renewed finish is in excellent condition on this American made country kitchen antique. There are minor losses at the edges, see photos. Size is 10" wide, 5" deep and 17 1/2" tall. See 12 photos that enlarge to full screen size.